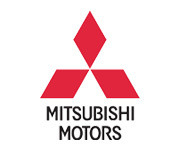 History of the Mitsubishi logo shows that the Mitsubishi logo has barely changed since it was registered by the company in 1914. What is more interesting and worthy of note, however, is the history behind the logo, and the rich Japanese heritage that contributed to its initial design. Mitsubishi did not take that name until the 1900s; prior to this, its precursor was a shipping company known as Tsukumo Shokai. The shipping company’s flag was designed to resemble both the triple-layered, diamond-shaped water chestnut crest of the Iwasaki family, to which company founder Yataro Iwasaki belonged, and the triangular three-oak-leaf emblem of Tosa Clan territory, in which Yataro Iwasaki was born. Eventually this symbol evolved into the triple-diamond triangle logo we associate with Mitsubishi itself. The name “Mitsubishi” came later. The title is actually a combination of two Japanese words, “mitsu” and “hishi.” “Mitsu” translates to “three,” referencing the three shapes that appear in both family crests. “Hishi” (which becomes “bishi” when combined with another word to use as a suffix) becomes “water chestnut” in English, which clearly refers to the symbols’ origins with the Iwasaki family. The lack of change in design over the past century reflects both the Mitsubishi logo’s sleek and innovative design, and the company’s pride and loyalty to its roots among the Iwasaki family and the Tosa clan, during a time when feudal samurai clans struggled to survive in an increasingly modernized world. The emblem has become a symbol not only of timeless design but also of respect for the company’s history, background, and founders.